Bestselling author and acclaimed historian Alison Weir takes on what no fiction writer has done before: creating a dramatic six-book series in which each novel covers one of English King Henry VIII's wives. 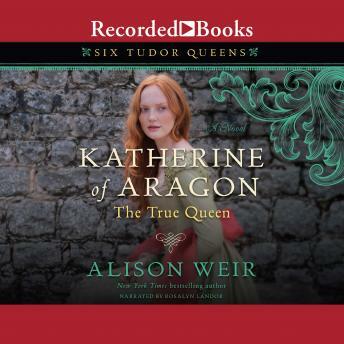 In this captivating opening volume, Weir brings to life the tumultuous tale of Katherine of Aragon, Henry's first, devoted, and 'true' queen. A princess of Spain, Catalina is only sixteen years old when she sets foot on the shores of England. The youngest daughter of the powerful monarchs Ferdinand and Isabella, Catalina is a coveted prize for a royal marriage-and Arthur, Prince of Wales, and heir to the English throne, has won her hand. But tragedy strikes and Catalina, now Princess Katherine, is betrothed to the future Henry VIII. She must wait for his coming-of-age, an ordeal that tests her resolve, casts doubt on her trusted confidantes, and turns her into a virtual prisoner. Katherine's patience is rewarded when she becomes Queen of England. The affection between Katherine and Henry is genuine, but forces beyond her control threaten to rend her marriage, and indeed the nation, apart. Henry has fallen under the spell of Katherine's maid-of-honor, Anne Boleyn. Now Katherine must be prepared to fight, to the end if God wills it, for her faith, her legitimacy, and her heart.